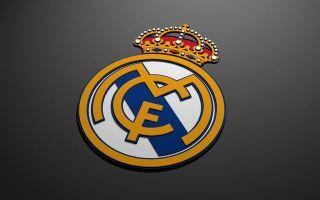 Real Madrid were dealt a major blow this week as Cristiano Ronaldo’s exit was confirmed, but the Spanish giants are reportedly eyeing a significant reinforcement. As confirmed by Juventus in an official statement, they landed the signing of the Portuguese superstar in a deal worth in excess of €100m after a glittering spell at the Bernabeu. Ronaldo spent nine trophy-laden seasons with Los Blancos, winning two La Liga titles, four Champions League trophies and countless individual accolades. In turn, it’s fair to say that his absence will be felt having also scored 450 goals in all competitions. Particularly with a new coach sitting on the bench in Julen Lopetegui, there has been a lot of disruption at the club this summer and so it remains to be seen how they cope with that and build moving forward. In order to break Barcelona’s domestic dominance and continue to set the standard in Europe, it’s claimed by Calciomercato that Real Madrid could be set to launch a bid of around €115-120m for Lazio midfield ace Sergej Milinkovic-Savic, who has also been linked with a move to Juventus. While the Serbian international impressed on the big stage at the World Cup in Russia this summer, he has been gradually establishing himself as one of the top talents in Europe with his form for Lazio. The 23-year-old bagged 14 goals and nine assists in 48 appearances last season, and add that to his physicality, athleticism and technical quality, he will likely continue to develop into a top-class midfielder as he gains more experience. It seems as though Madrid are keen on seeing that process happen at the Bernabeu, although as noted by The Daily Star, Milinkovic-Savic has also been heavily linked with a switch to Man Utd. Based on the above report concerning Madrid’s offer though, Jose Mourinho may be well advised to step up their touted interest sooner rather than later in order to fend off the Spanish giants and significantly bolster his own midfield if he sees the Serbian ace as the ideal addition.